The ABC7 Eyewitness News I-Team tackles one of Chicago's nastiest problems, the rat-packed city and suburbs. CHICAGO (WLS) -- The ABC7 Eyewitness News I-Team tackles one of Chicago's nastiest problems, the rat-packed city and suburbs. Why do there seem to be so many rats running wild right now and what are Chicago officials doing to stop it? We're rat-packed according to a leading extermination company that recently named Chicago the "rattiest" city in America. If you've had a close encounter with a member of the rattus family, then you know how nauseating it can be. The I-Team has discovered city spending on rodent control has been cut each of the past four years. "You know, I've had rats crawl up my arm and jump off my shoulder," said refuse hauler Darryl Anderson. Anderson sees rats every day on his garbage route. Twelve years on the job and he says it's worse than ever. "I worry about getting scratched and you know, contact some kind of disease," he said. Researchers are finding rats harbor even more disgusting and dangerous diseases than once thought, teeming with salmonella, e coli and even a form of the deadly hantavirus according to a recent New York study. It didn't take the I-Team long to find Chicago rats roaming alleys, playing in planters and darting in and out of buildings. "The rats are bigger than the cats," said Chicago resident Jackie Smith. Smith lives on Chicago's West Side. Despite regular city garbage collection, he says the neighborhood is rat packed. "In the early evening time they come out and pillage through the garbage and stuff," Smith said. "I kind of call this Chicago's toilet," Loop resident Kim Hofstetter said. Hofstetter says her condo association has complained repeatedly to the city, but she claims little has been done. "They came out and put down poison but you know you have to come and pick them up after they are dead," she said. In 2010 Chicago was spending more than $6.5 million a year on rat fighting-primarily with bait and poison. This year it is down almost 30 percent. City officials tout that as a cost saving primarily resulting from consolidating rodent control operations into the streets and sanitation department. They say there are currently 29 full time city rat fighters, the same number as four years ago. "The biggest issue we have I think is overflowing garbage," said George Esquive, Asst. Comm. Streets and Sanitation Rodent Control. Esquivel says a new, first-in-the-nation program intends to predict Chicago's rat hot spots. A computer program analyzes calls that come into the city's 311 system, such as vacant lot complaints and requests for block party permits, technology he says lets them get ahead of the rat explosion. "We are able to use the system to help the Department of Streets and Sanitation preventatively lay traps before we even hear from a resident," said Brenna Berman, Chicago Innovation and Technology Commissioner. Streets and Sanitation says it has poisoned nearly 39,000 rat locations so far this year. What is not yet known is whether this high tech plan is killing more rats. So some residents have gone on the offensive, using a "low tech" approach to rodent control, feral cats that repel or kill rats. "Basically the cats are doing what they've been doing for thousands of years. They're hunting mice and rats," said Lakeview resident Anne Beall. 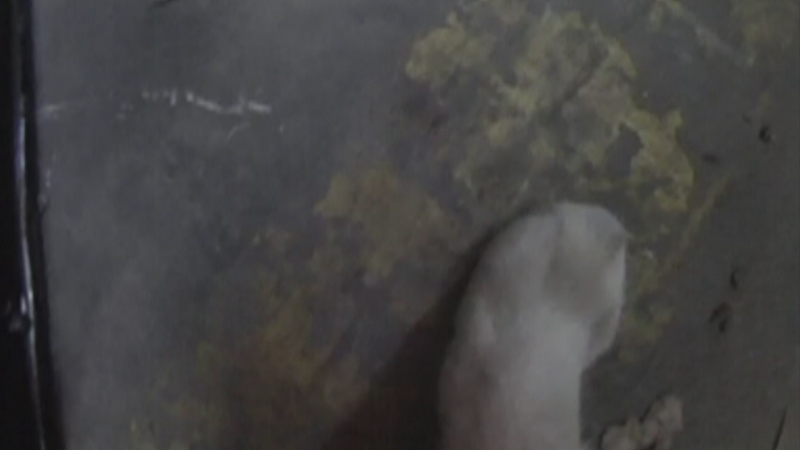 The I-Team's cat-cam shows a feral cat on the prowl for rats. "You don't see any rats or any animals. The cats keep them away," Melrose Park resident Maria Abitia said. Businesses are also benefitting. Skolnik Industries had a major infestation until "King" and "Prince" arrived. "We had done a construction project and as a result it unearthed a sleepy colony of rodents," said Howard Skolnik. The I-Team's cat-cam shows Prince on the prowl through a 75,000-square foot factory on the city's Southwest Side. "We haven't seen any rodents for four years," Skolnik said. "It does take some maintenance but if you look at the cost of trying to do any kind of other treatment and the success rate, this hands down is the better way to go." "They're not going to completely wipe out all of the rats, I don't think that's ever possible," said Jenny Schlueter, Tree House Humane Society. Jenny Schlueter, Tree House Humane Society.